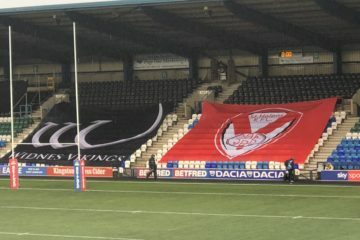 I think it’s fair to add Friday’s game vs Hull FC to the Easter schedule isn’t it? 3 games in 8 days before the players are given a proper breather. The game certainly panned out as the end of a gruelling schedule, as both teams combined to give good performances albeit with errors thrown in. There were plenty of missed tackles, penalties given away and dropped passes during the game – as well as plenty of comedy from pantomime villain Jake Connor, who really should let his rugby do the talking rather than his daft gob. Also thrown into the error mix were Mr. Hicks and his touch judge in the lead up to one of Hull’s tries. A quick change in attack left them behind the play but, even stood at the back of the West Stand with dodgy eyes, I could see the Dan Marino style pass that contributed to the score. Hicks also gave Saints a penalty for a tip tackle, despite us doing something very similar in the first half. And don’t ask me what constitutes a crusher tackle anymore. If Luke Douglas sees yellow for controlling a tackle and allowing room for his opponents head, then Mr. Hicks has copped out of a decision with the challenge on Danny Richardson. On report needs abolishing, quickly. It’s an opportunity for a ref to not make a decision, and with the amount of challenges looked at by the disciplinary board each week its unnecessary. Plus if the offender is banned for the next game, how exactly does the team who has been transgressed against benefit? Back to the match and we controlled the game well, I thought Theo Fages had a good game, as did Zeb Taia, Dom Peyroux, Louie McCarthy Scarsbrook and Jon Wilkin. These last 4 names please me the greatest as they were/are names of players that had/have fans calling for them to be released. I can’t argue with the decision to give man of the match to Tommy Makinson, who is always a willing kick returner and without an uncharacteristic handling error had the chance of a breakaway try in the second half. I hope the squad now get a couple of days of r&r before the tricky tie against Wakefield next week. 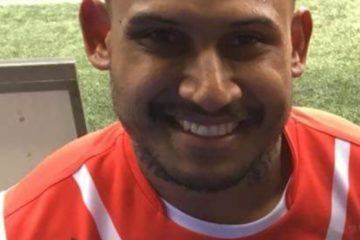 Pre-game a lot of social media chatter surrounded the absence of Ben Barba from the Saints 17 due to illness. How were we going to cope with missing the best player in Super League? Simple, we’d put a World Cup full back in his place. Now, we might not have been as potent with Jonny Lomax at full back, but that is certainly not having a go at the Saints number 1. He had a decent game there, with him looking assured under the high ball and chiming into the attack when we went forward. His influence was certainly good enough to help us to the win. Now, Saints have missed James Roby before, and we’ll no doubt miss him again in future. But this gives other players the opportunity to show they deserve a shirt. Last night Matty Smith stepped into the breach, and while we probably won’t get the scoots from dummy half, his accurate distribution, kicking game and organisation was a massive bonus. With the lead we currently have at the top of the table, I’d give James a break next week and let Smith play the full 80 – with one of the youngsters stepping into 19 man squad, even if they didn’t play, just to get the experience. This week Saints have released their ‘Magic Weekend’ kit, a colourful affair in association with St. Helens Autism Support who will benefit from 10% of the net retail profit from each shirt sold. The kit features the jigsaw design, which is synonymous with the Autism Society, and will hopefully help Saints break the £20,000 mark for monies raised with their Magic Weekend shirts. “I was genuinely surprised at the backlash to some of the shirts on display. As a grown man I don’t really consider what shirt St. Helens wear to be of major importance, as long as the Saints home kit is white with a red vee (or even a single thick horizontal stripe). However I’ll put that to one side for a few moments. I haven’t changed my opinion on this. Magic Weekend has become a de facto charity awareness round, and I’m comfortable with that. I would like to see a heritage round incorporated into the schedule and across the board, but it’s probably not going to be Magic Weekend. From someone with years of sports retail experience, the only issue I can see commercially with a heritage round (from the clubs point of view) is they might worry about sales of replica kit to the apathetic fan. The fan like me who doesn’t rush out to buy both kits when they’re released in November/December, and instead waits to see the Magic shirt, the training gear and so on before making a purchase. If Saints make a charity shirt too similar to the home or away kit, the following year they run the risk of more punters turning into a fan who shops like me. 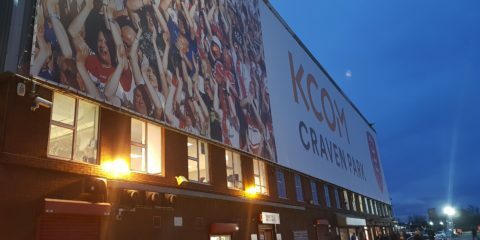 A shirt with a redvee made entirely out of tiny jigsaw pieces might look good (it also might look horrid) but it could impact on sales of the home shirt and no retailer is going to shoot themselves in the foot like that. The black shirt worn last year was different enough from anything we’ve ever worn thanks to the bold colours and design associated with Autism Support. Yes, you’ll always get the die-hard fans who buy anything with a Saints badge on, but not everyone is fortunate enough to be able to afford that. By designing something unique, that won’t be replicated in following seasons, Saints protect the charity aspect and their own sales in equal measures.